If the festive season doesn’t bring you challenges, then you’re in a minority of employers. For the rest of us, it’s an annual challenge to try to battle through the chilly months with a full team. Absences happen, and one of the biggest causes is seasonal sick leave. Okay, people are going to get winter colds and ‘flu. That’s fine. But don’t rule out people enjoying the festivities a little too much and staying off work. So what can you do to stay on top of it? How staff should report an absence. What would cause you to take action against an employee. Such clear rules ensure both you and your employees are aware of what happens when someone’s sick. Record all periods of staff sick leave—along with the reasons—in an easy-to-read format. This allows you to spot any patterns, like if someone takes every Friday off (when you know there are staff drinks every Thursday night). Once sick leave reaches an unacceptable level, you can take disciplinary action. Persistent, short-term absences are more likely to trigger disciplinary action than longer-term absences. But before you get to that stage, a verbal or first warning is usually enough to cut absence levels. This is a helpful tool to talk through an employee’s absence and discuss whether you can offer support to keep them in work. Ask the right questions, such as whether there are any underlying issues you should know about, to see if someone’s suffering from a disability as defined in the Equality Act 2010. Then, you can put in place adjustments to help reduce absences. If you suspect someone’s lying about being sick during the festive season, investigate it. Get as much evidence as possible, include notes from any return-to-work interviews, and get witness statements from colleagues (they may have overheard employees talking about fake sickness). Once the investigation’s over, invite your employee to a disciplinary hearing and get in-person answers to your questions. When you get insufficient explanations or lies, take disciplinary action for falsely claiming sickness. 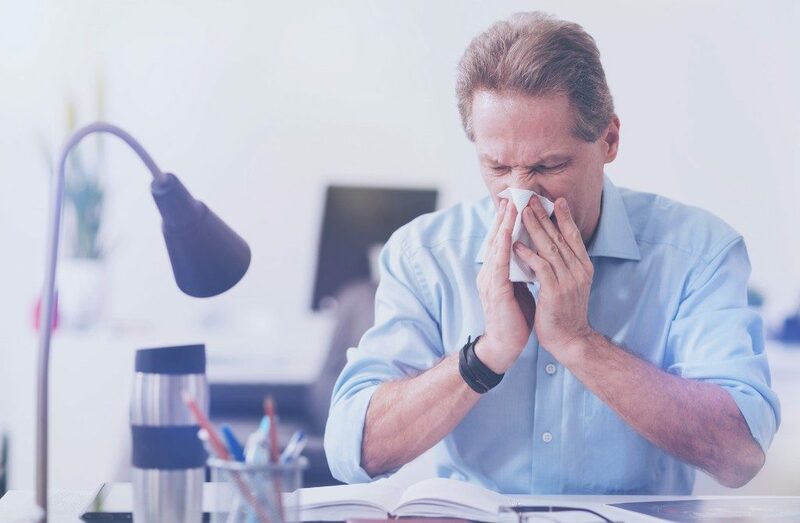 Your stance on sickness absence should not be so strict that employees who are genuinely sick feel like they have to come to work. In fact, ‘presenteeism’ has a detrimental impact on your workforce. The illness can spread and slash both productivity and work quality. Also, because your employee isn’t taking time to recover, it’ll take even longer to get back to full health.